We are extremely pleased to announce, in partnership with Broadway Cinema (Nottingham), the launch of Film Hub Midlands! For two years we have been working to champion film in the region together with Film Hub South West & West Midlands under the banner of Flatpack: Assemble, to which we now say a very fond farewell. From January 2018, we will be working with Broadway to bring more films to more people in more places across the Midlands. So, what is Film Hub Midlands? Film Hub Midlands is part of a network of Film Hubs throughout the UK. 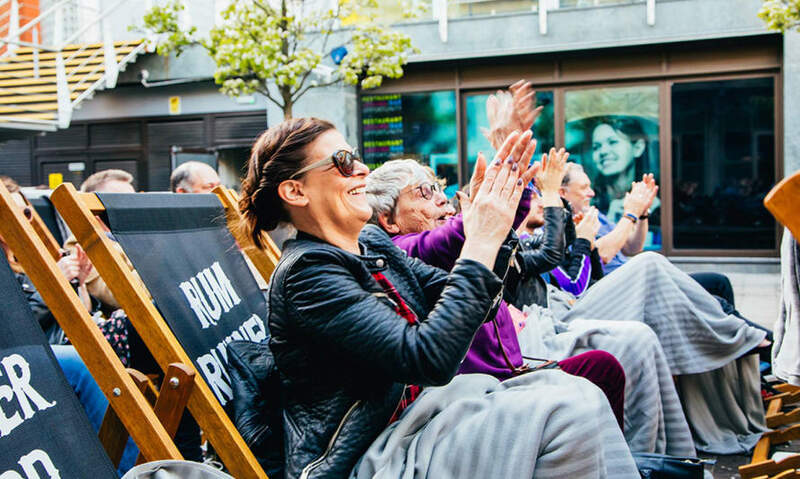 Set up in 2012, using funds from the National Lottery, the BFI Film Audience Network supports a stronger and more connected approach to growing audiences for British and international film on the big screen. You can read more about BFI FAN here. We'll be very much carrying on the good work of Flatpack: Assemble, working with Broadway to provide resources, training and funding for film exhibition, with a particular emphasis on growing new audiences for British independent and international film and raising awareness of film and film culture in the region. Or, just come and say hello! We'll be heading to the locations listed below over the next couple of months to introduce ourselves and share our plans for this year and beyond.